Representative Honours: Northern Ireland: 1 Full Cap (2011), 1 Under-23 Cap (2010), 2 Under-21 Caps (2011-2012), Junior caps (2010). Club Honours: (with Crusaders) Irish Cup Runner-Up 2010/11, 2011/12; Irish League Cup Winner 2011/12; Setanta Sports Cup Winner 2012; (with Brentford) Football League One Runner-Up 2013/14. 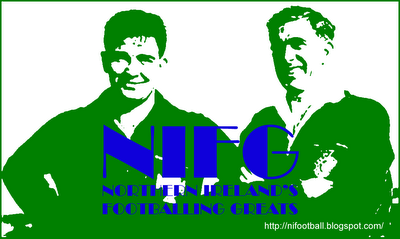 Awards: NI FWA Player of the Year 2011; NI FWA Young Player of the Year 2011. 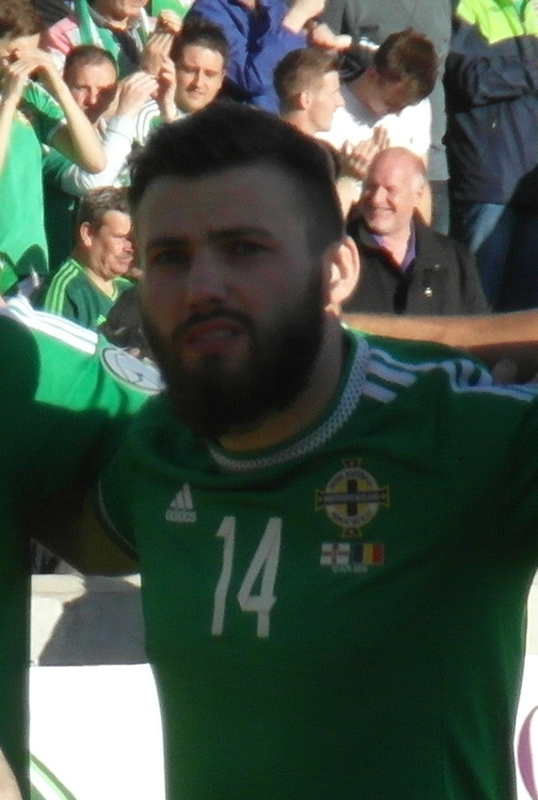 Stuart Dallas only arrived in senior football at the start of the 2010/11 season, but by the end of it he had been crowned as the IFA Premiership's best player and called into the Northern Ireland squad. While a Coagh United player Dallas was a member of the Northern Ireland Junior squad that competed at the 2010 Quadrangular Tournament. Dallas joined Brentford for the 2012/13 season. His last act as a Crues player was to convert a penalty in a shoot-out win against Derry City in the Setanta Cup final. After a few seasons acclimatising to the full-time game, including during a loan spell at Northampton, Dallas earned a run of games during the second half of the 2013/14 season as the Bees clinched promotion from League One. His continued good form early in the following campaign saw him included in the Northern Ireland squad for the first time under Michael O'Neill, when he was a late call-up for a September match in Hungary. After a near-four year gap, Dallas won his second cap against Scotland in February 2015. He retained his place in the squad thereafter, scoring his first goal with a fine strike in a friendly against Qatar. In the summer of 2015 Dallas was linked with a number of teams, including Rangers. He left Brentford for Leeds United in a deal believed to be worth around £1.25 million plus add-ons. 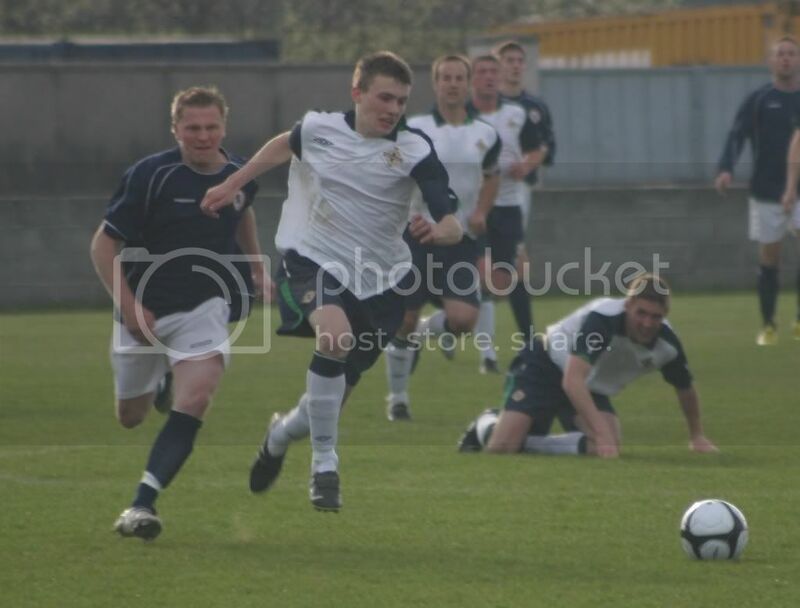 Dallas in action for Northern Ireland Juniors against Scotland Juniors.